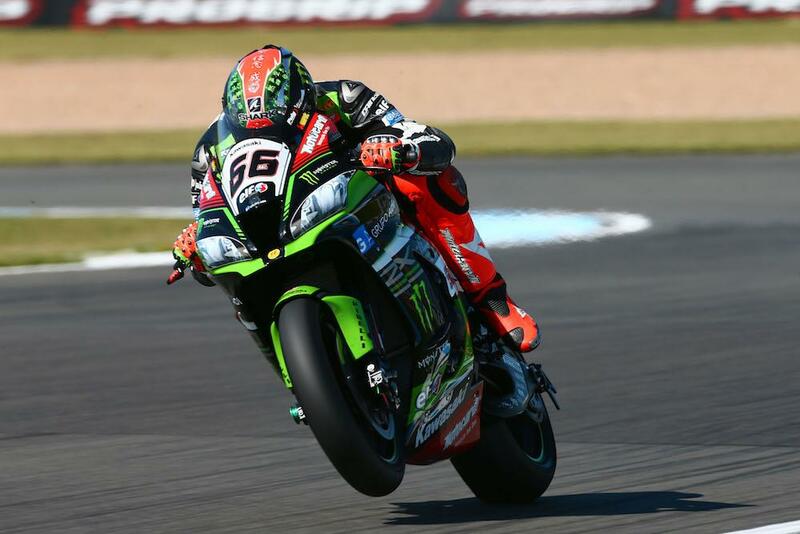 Tom Sykes will start on pole position for today’s opening World Superbike race at Donington Park after breaking his own pole record to place ahead of team-mate Jonathan Rea. 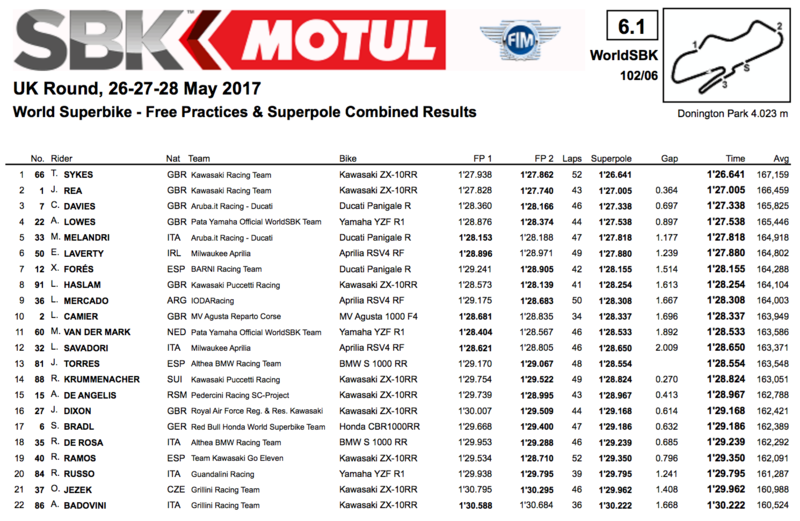 Sykes’ time of 1’26.712 places him 0.364 clear of team-mate Jonathan Rea, who was unable to break into the 1’26 bracket with his qualifying laps. Chaz Davies improved on his Friday performance to secure a front row start for Aruba Ducati, with local boy Alex Lowes enjoying a strong qualifying performance in fourth for the PATA Yamaha team. Marco Melandri will start fifth, with Eugene Laverty completing the front row after making a big step forward after having to fight through the SP1 session to earn his place to fight for pole. Xavi Fores heads up row three, ahead of Leon Haslam, who was unable to repeat his top three pace from Friday after tucking the front at the Old Hairpin on the JG Speedfit Puccetti Kawasaki. Leandro Mercado starts ninth on the IODA Aprilia with MV Agusta’s Leon Camier rounding out the top ten. British wildcard Jake Dixon took an impressive 16th on his BSB-spec RAF Reserves Kawasaki. Race one gets underway at 15.00 local time.